The current view trending in social media as well as most of the financial media is that Italy is about to trigger a systemic collapse of Europe. 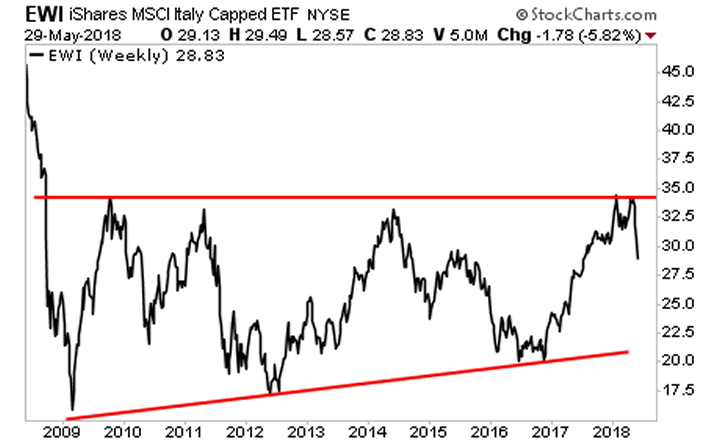 Those proposing this theory are using charts of Italy’s bond yields and stock market that focus on the last few years when the country was being priced at a ridiculously low risk. Long-term Italy’s stock market is trading within a very clear a defined channel. This is the “end of the world” that everyone is talking about. From the look of things Italy has had it at least three times before since 2009. As I said yesterday…That. Is. Not. A. CRISIS. We are about to move into a “white swan” move in which the S&P 500 bounces off of support and makes a run to 3,000+ this summer. This is the “White Swan” I’ve been forecasting since end of March 2018. It will mark THE blow-off top for the markets. 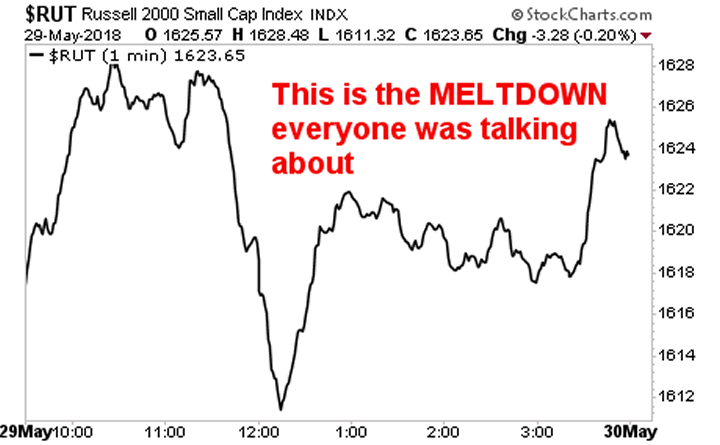 What follows will be another crisis… the REAL crisis… NOT the bogus one everyone is panicking about right now. 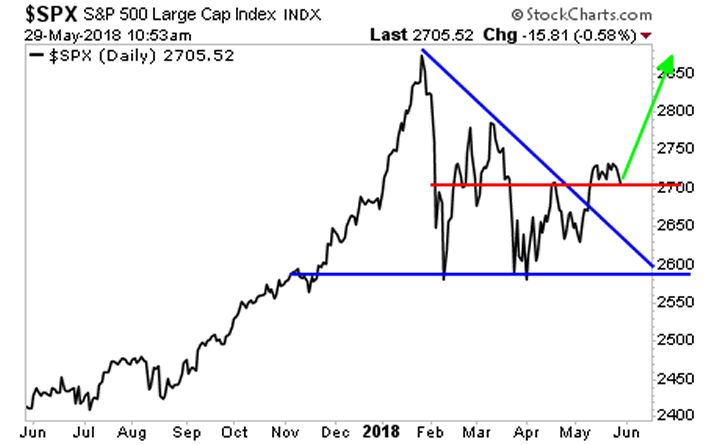 It will take time for this to unfold, but as I recently told clients, we’re currently in “late 2007” for the coming crisis. On that note, if you are growing concerned about the current Central Bank created bubble bursting…. we are putting together an Executive Summary outlining all of these issues as well as what’s coming down the pike when the Everything Bubble bursts.